For those new in the SEO arena, Schema is a highly-effective form of structured data markup that webmasters and SEO providers can use to enhance the search engine listings and overall SEO value of webpages. 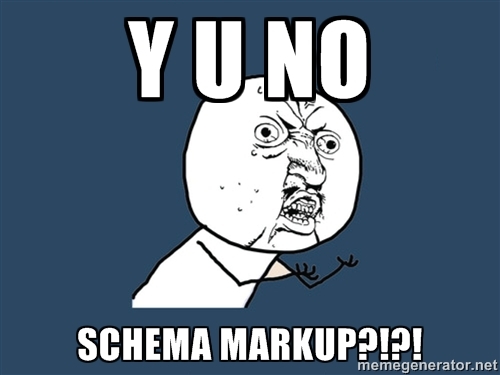 Schema markup is recognized and accepted by major search engine providers, such as Google, Yahoo, and Bing. The markup enables search engines to easily understand information contained on selected web pages, such as people, reviews, keywords, descriptions, addresses, etc. This ease of understanding allows the search engines to provide richer and more relevant search results to users. This markup also allows for easy integration of new applications and tools which make use of Schema. For ecommerce SEO providers, Schema markup enables them to drive higher click-through rates by easily distinguishing web content in search engine results. When you take into account the amount of data readily available for search engines, it makes a lot of sense to ensure that your web content is not only easy to find but is also relevant to the search query. Here are 10 highly-effective ways SEO’s can leverage Schema markup for better performance in the search engines. Under the Creative Works category, the WebPage schema vocabulary is very important. To further differentiate the objectives of the web page, this vocabulary can be broken down into other more specific types such as ContactPage, AboutPage and ProfilePage. With email marketing gaining a lot of popularity, it is only logical for any business enterprise to strive and provide recipients of email messages with some direct connectivity to the publishers Google+ page and web address. This can easily be achieved by using the Go-To-Actions and Offers vocabularies. SEO providers who may be doing something in the ecommerce arena have the Rating media object element. This usually provides ecommerce vendors with an opportunity to stand out in search engine results even in instances where getting a top placement is not possible due to one reason or the other. In the same ecommerce sector, many website owners tend to complain a lot about the inability of searchers landing on the ecommerce site when clients make branded queries and the sitelinks search box appears. This problem can be solved by implementing the SearchAction vocabulary; it does this by providing a seamless process which ensures searchers don’t remain in Google search results but are directed to the ecommerce site instead. The Brand schema vocabulary does help search engines to distinguish between product information and an organizations logo so as to align them with a specific web address. Brand schema helps to ensure that the correct logo and address are provided for any search result. Because Google has now stopped supporting authorship in search engine results, the Person schema markup becomes quite useful as it can be used as a supporting mechanism for establishing what’s known as thought leadership amongst key organizational employees. On the other hand, the Person vocabulary can be used to provide more detailed information about the leaders or opinion shapers in a particular organization. Details such as contact information, related social media platforms, job title, and images can all be provided by this schema markup vocabulary. For Image and Video objects, the use of VideoObject and ImageObject schema vocabularies is quite effective, this is especially so if you intend to have your page closer to the top of search results. This is because research has shown that search engines prefer pages which contain media assets such as videos and photos. For SEO providers, this does boost the organic search visibility of the website in question. Organizations with multiple offices, franchise operations or several dealer sites usually pay a lot of attention to local business listings and are always on the lookout for a more pronounced visibility when it comes to local searches. The PostalAddress markup does ensure that the organizational address found on the website is provided to search engines and relevant searches. This ensures that users get a more valuable search experience when they make a brand based query. SEO providers who have clients running road shows, hosting webinars and any other time and location sensitive events can make use of the Event schema markup and link it with their client’s local address appearing on the website and create an opportunity for more comprehensive and accurate search listings. Finally, it is worth noting that schema markup is a powerful strategy which when correctly implemented does provide spectacular results to website owners in terms of improving the ease at which their web content is searched and presented by leading search engines to both branded and un-branded queries.